Chances are that you've seen quite a few articles telling you how to make money online. While some of these pieces might offer legitimate solutions, many of them are scams, which lead people to become disillusioned with the prospect on earning money online from the comfort of their own home. 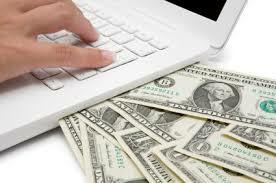 The truth is that you can indeed earn money online and you can do it in reputable ways. If you're looking for a new job opportunity that will enable you to make real cash without having to deal with a rude boss or a lengthy commute, then keep reading. Here are the real ways that you can make money online. Transcribing is a fairly simple job that just about anyone can do. It's especially perfect for those who have disabilities that make it difficult to leave their homes. Transcribers type out the words being said in online videos. These text files are used by closed captioning services to increase accessibility to online media for the hearing impaired. All you need for this line of work are a pair of transcription headsets. There are thousands of opportunities out there for people with decent writing skills. You don't have to be Shakespeare to make a living as a writer. All you need are basic grammar skills and the ability to type quickly. You can choose from a myriad of writing topics, depending on what interests you. Plenty of companies are looking for content to host on their official websites and blogs. For big online retailers, it's becoming less and less feasible to host their customer service departments in physical call centers. This is why many people are now hiring people to do this work from home. Once you're hired, you'll be given access to an online terminal from which you can receive calls. The companies train you on how to deal with customer complaints and questions. This can be a great opportunity for social people who enjoy talking on the phone. You don't have to be a slave to your morning commute. Any of these jobs would be perfect for someone who is looking to make a decent and honest wage from the comfort of their own home.